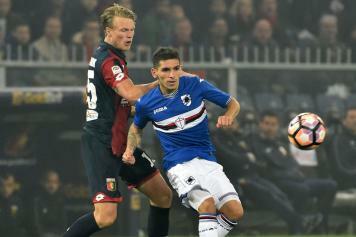 Arsenal have found an agreement with Sampdoria for Lucas Torreira, who had been on Napoli's radar for quite some time. However, the Gunners decided to pay more than the midfielder's release clause, here's why. As first revealed by Calciomercato.com, Arsenal were willing to pay more than Torreira's €25m release clause. This is because had they paid the release clause, then they would've had to pay it all in one instalment. Now, however, they have the possibility to split the total amount into several different payments. According to the latest reports, Arsenal will pay €10m straight away, while the last €20m will be paid over the course of two years. Lucas Torreira, who has been one of the best young starlets in Italy for a few years now, is ready to join the English Premier League in the coming hours.